These PBR bucking bulls are cared for by the inmates when they are not on tour. 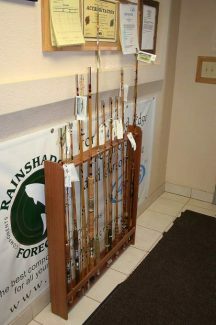 Fishing poles are hand created by inmates, and many time contain intricate detail. 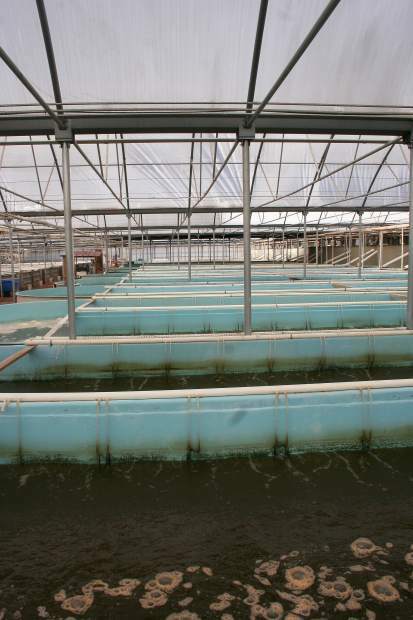 These tanks all contain fresh tilapia, which will be sold to Whole Foods. A freshwater lobster is checked by an inmate for size and growth. CCI has a partnership with the BML where wild horses are brought onto the complex, trained by the inmates, and then put up for adoption. Berry bushes are just part of the greenhouse area that is located on the prison grounds. This is one of the floral arrangements that an inmate put together. This program allows them to learn about horticulture. Irrigated fields are also part of the CCI program, and corn that is grown on the property is then used for silage in the dairies. The water buffalo dairy is a new addition to CCI, and the milk from these cows is used to make mozzarella cheese. The berries grow ripe on their vines, and skilled laborers weed the ground between the rows. At first glance the scenery seems perfectly normal. That is, however, until the chain link fence and razor wire can be seen in the background. This is not a standard agricultural operation. 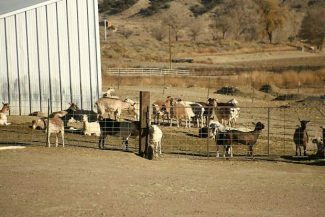 This is the agricultural division of Colorado Correctional Industries, where inmates can work and learn valuable life skills. "It gives them a real work ethic. They have to get up and go to work. They have to take care of something. Most inmates have never had to care for an animal. That is why ag is so good for us in the prison system," said Steve Smith, Director of CCI. CCI is a division of the Colorado Department of Corrections. 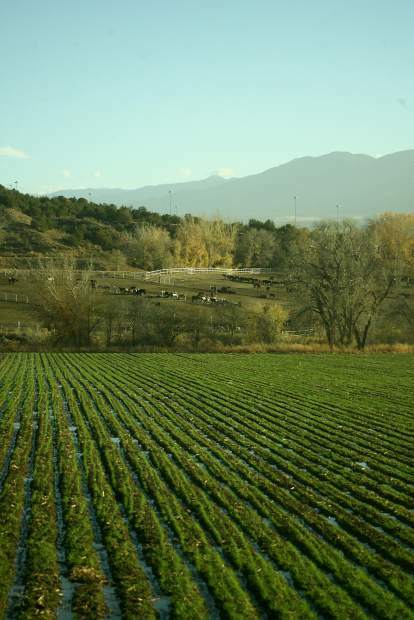 It's roots in agriculture started in 1874, when it was part of the Colorado Territorial Penitentiary inmate work program. The company has over 60 programs, where they manufacture goods and provide services to government and non-profit customers. They also have an agricultural sector, including goat, cow and water buffalo dairies, wild horse training, a fishery, greenhouses and more. 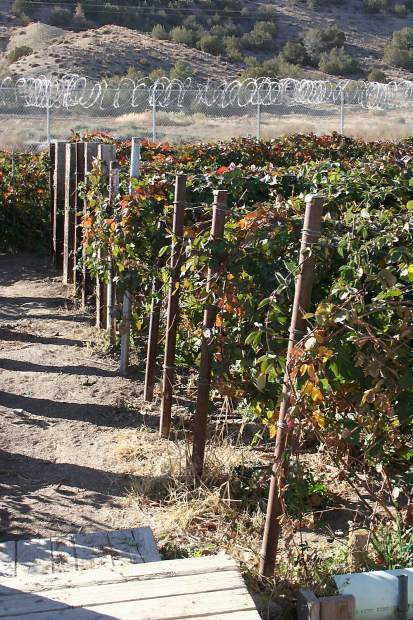 The agricultural sector has nearly 20 different programs, and employs 800 inmates each year. Each program is run as a separate entity, and must maintain itself. "Each one of the programs is set up to be a business on its own. They are completely self-sufficient, generating their own revenue for staffing and infrastructure. There is absolutely no tax support," said Smith. In fact, according to Smith, the programs actually save taxpayers $5,000 per year. "If they weren't working for me, they would be in some program that is paid for by taxpayers," he said. Every inmate that works in the program pays back 20 percent of his wages for incarceration expenses. Those who have children also pay 20 percent for childcare, and those who have restitution pay 20 percent of their wages to that. Of the rest of the wages they have left, half is put into a forced savings account, and the rest the inmates get to keep. To be eligible to work in the program, inmates must have a high school diploma or GED, have good behavior and must be at a low classification in the system. They apply to work in the system and once accepted, are placed in the facility that is nearest to their housing site. There are many different programs inmates can be placed in, including three different dairies. These include the goat dairy, cow dairy and water buffalo dairy. 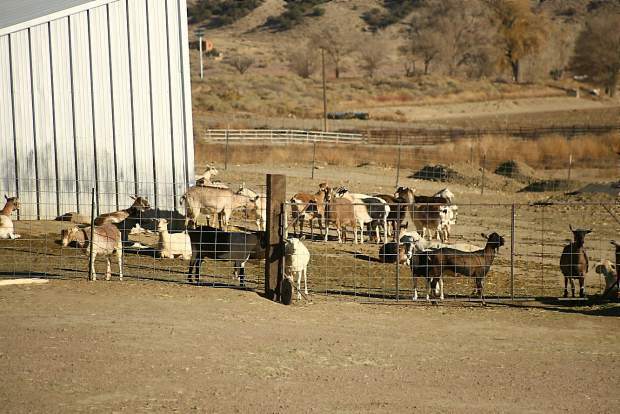 In the goat dairy, inmates milk the goats twice a day, and all of the milk that is produced is sold to Haystack Mountain Goat Dairy, where it is turned into cheese. The cow dairy has over 900-1,000 milkers that inmates milk three times per day. All of the milk produced from this dairy is sold in the commodity milk system. The water buffalo dairy is one of the only one of its kind in the United States, and all of the milk that is produced here is shipped to Leprino Foods, where it is turned into mozzarella cheese. 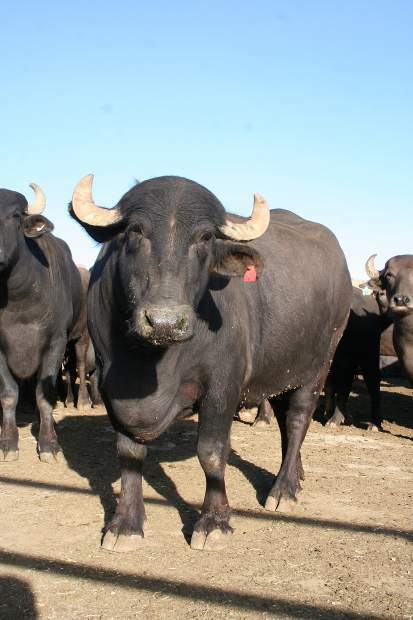 "Water buffalo milk makes some of the best mozzarella you could ever taste," said Smith. They have 80 animals, and the first calves on the place where born this past spring. 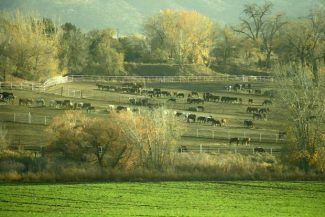 Eventually, Smith would like to see the dairy grow to nearly 500 head. At all three dairies, inmates are responsibly for all of the care of the animals, including breeding and birthing. Inmates learn responsibility and patience, skills that will help them once they are out of the prison system. "After working here, they can look back and see what they have accomplished. It helps them to build self esteem, and learn job skills that they can use outside the system," Smith said. These skills are also taught through the Wild Horse Inmate Program (W.H.I.P. ), which began in 1986 in partnership with the Bureau of Land Management. CCI has, on average, 2,500 wild horses on the facility. Inmates learn to care for and train the horses, and then they are adopted out. More than 5,000 horses have been trained through this program. "We have 65 inmates in that program, and 20 of them are trainers. They start with shoveling manure, then work into the feed crew, and then they can learn how to train the horses. It's good for them," he said. He continued, "These programs are all about animals. You can't just make an animal do something. If you abuse it, it will fight against you. They learn patience and that they can't be a bully. The animal won't take it. The animals are generally stronger willed, so they must learn to work with them." In addition to the dairies and the horses, CCI also have greenhouse, vineyards, honey processing, farmlands and a fishery. 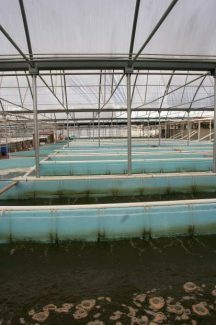 The fishery program is focused mostly on tilapia, which the inmates raise for Whole Foods. They are responsible for cleaning the tanks and feeding the fish, as well as taking care of the young fish. 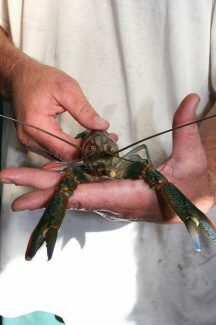 Part of the fishery also includes a lobster pond, where freshwater lobster are grown. The inmates work to keep their temperature stable and facilities clean. The vineyard consists of only grape growing, and the grapes are sold to a local winery, Abbey Winery, where they are then turned into wine. 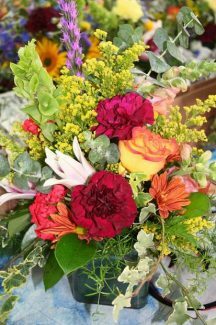 In the greenhouses, flowers and other plants are grown, and they are used to make floral arrangements. Inmates can learn about horticulture in this environment. The apiary program is where the honey is produced. Started in 2005, this program teaches inmates about how to safely harvest a hive, and pasteurize the honey for consumption. 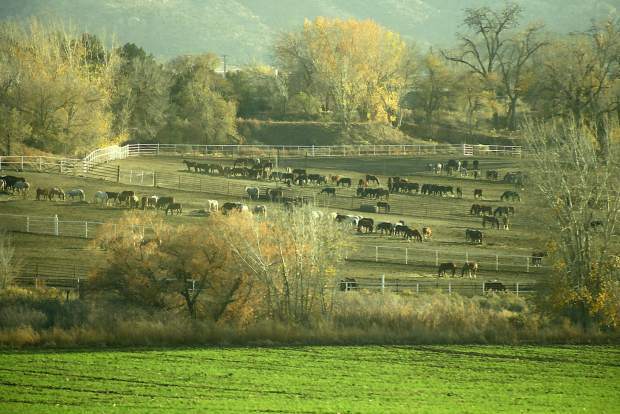 The prison in Canon City has 560 acres of farmland. Thirty of those acres are planted with vegetables, which are grown to supply the prison kitchens. The rest of the acreage is used to grow corn, which is then chopped for silage and used in the dairies. 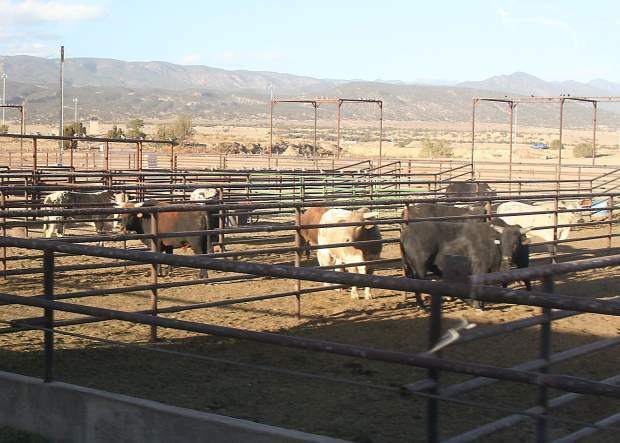 The facility also houses and keeps bucking bulls, which are used for the PBR. 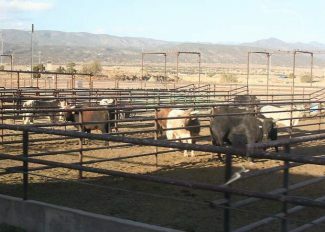 The prison is contracted to care for these animals, and the inmates are involved with the day-to-day care of the bulls. Another program that the prison has is the Prison Trained K-9 Companion Program (PTKCP). This program takes dogs from shelters or other animal rescue organizations and teaches the inmates how to train the dogs, so that they can be adopted out. There are several other jobs within the CCI programs that are manufacturing jobs that relate to agriculture as well. The prison has a leather shop, where inmates learn to make saddles and other tack, as well as wallets. The inmates can also learn to make specialty fishing poles, and many of the inmates with artistic abilities go into this program. A rod can take as long as several months to complete. One more program that CCI offers caters to those who are mechanically inclined. The prison offers a tractor restoration service, and they take in old tractors and fix them up to look like new again.